Participant Registration for The 8th Annual Hollywood Fringe Festival is now open. You can begin the three steps of registration by creating a project today. 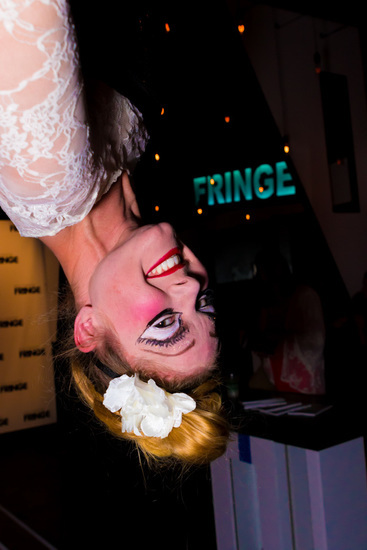 Registrations must be completed by April 1st in order to be included in the printed Fringe Guide. Producers wishing to register after the April deadline will still be able to sell tickets through the festival’s website. We have launched a new registration wizard which will guide you through the process and allow you to pre-register before you have booked a venue (a new feature this year). You can learn all abut the revised registration process by watching this video. Registration costs $250 for multi-performance projects. Free shows or shows with only a single performance receive a discounted registration of $175. Registration for educational events (including workshops, classes, or any other instructional/educational endeavors) can be registered for $50. Registration fees pay for a listing in Fringe materials and many other benefits. There are no restrictions regarding genre, content, or length for the festival; specifics are left to participants and venues to determine. We have also launched a new support portal that empowers participants, venues and patrons to maximize their fringe experience. The new portal features articles on key fringe activities, answers to frequently asked questions, and an easy way to contact the HFF support staff. The 2017 Hollywood Fringe Festival takes place June 8-25, with a week of Previews taking place June 1-6.